When Street Child’s work began in Sierra Leone in 2008, it was the poorest nation in the world and had been devastated by a decade of civil war. Children were suffering from the war’s legacy of poverty and destruction. Thousands of the poorest children were trying to survive on the streets. Street Child’s work began with a small handful of street children, connecting them to families and helping them go to school. Our work quickly expanded to include all children who were unable to access education - for reasons including poverty, lack of a school structure and/or teachers, losing their parents so no one to support or pay for education, or simply being a girl. In 2014 the Ebola virus epidemic threw the country into crisis again. Thousands of children were orphaned and families torn apart. Street Child led the Ebola orphan response, helping 20,000 children impacted by the epidemic - and we continue to support children who are still struggling. Today we work to give the country’s poorest children better futures through education, helping whole communities to move out of poverty. By providing a combination of psycho-social support, quality education and business support, we give children the chance to live in a secure home with a family and to access the education they need to set them up for life. Whether we’re supporting children orphaned by a crisis like Ebola, or helping girls to go to school, we focus on understanding the problem and delivering long-term solutions. 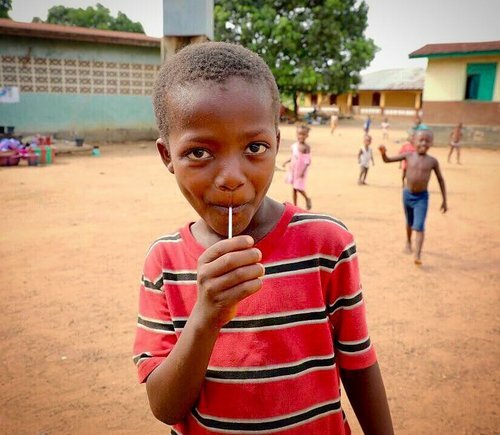 We help some of the hardest-to-reach and most vulnerable groups in Sierra Leone: street children, children in rural communities, children in poverty, girls, and children impacted by crisis. For so many of the families we work with, the cost of education is too high. Simple household poverty keeps thousands of children out of school. Our Business Teams exist to change that, providing business training, planning, grants, loans, and incentivized savings schemes with impressive results. With the right training and support the families are empowered to afford the costs of feeding, clothing, and educating their children. To date, we have supported more than 12,000 families to set up businesses helping over 22,000 children to go to school. In places with no access to school, we work in partnership with willing rural communities to build ‘first ever schools’ and identify members of the community to undertake long-distance teacher training. We also support struggling rural schools with teaching and learning materials and essential school repairs, alongside tailored teacher training that emphasizes inclusive education. We emphasize community responsibility, working to promote the importance of education and help communities to sustain their own school. We give communities agricultural grants and technical support to develop collective rice farms and seed-lending schemes, where the interest gained following harvest is sold to meet education costs. These initiatives help schools to fund teacher salaries and other expenses. Many teachers in rural schools have never had formal training. Our teaching specialists provide ongoing in-classroom training, mentoring, and supervision for more than 600 teachers across Sierra Leone. The training and certification of teachers can transform the lives of the teachers and their communities, as well as the children’s learning outcomes in schools. During the Ebola epidemic, our training programs extended to educating communities about the disease. In this process, we trained more than 1,700 Ebola Educators, whose efforts were integral to the process of containing the spread of the disease, helping save thousands of lives. We don't just help children to go to school. Our team of social workers provide psycho-social counseling and support to children facing challenging circumstances. We focus on the child's development and wellbeing, empowering them to thrive at school with the help of a trusted adult. We work with children who have been orphaned, many by the Ebola crisis, to find a caregiver within their extended family who can look after them. Once in a safe family environment, these children don't have to fend for themselves anymore and are ready to return to school. We also work with children who live and work on the streets in Sierra Leone, to mediate their return home to their families, and to support their return to school. Children who have been living on the streets are often ostracized at home and in school, and we work hard to advocate one-on-one and with key stakeholders for children's rights. Street Child is a key partner of the Ministry of Social Welfare, Gender and Children's Affairs, and works in close partnership with local community groups such as Child Welfare Committees to help them identify and protect particularly vulnerable children. In 2011, we set up Street Child Commercial in Sierra Leone to help create employment opportunities and raise awareness of our work. Our series of cafes and restaurants in the major towns also helps to bring in a a sustainable source of funds. 'I'm so thankful for the opportunity to send Fatima to school.